The US is the third most populous country on earth, with over 320 million people according the current U.S. Census Population Clock. Yet, only around 4.4% of the world’s people live in the country and considering it’s only the 180th most densely populated country on earth, it’s rather sparsely populated. Moreover, if the US ever wanted to catch-up with China (most populated) or India (soon to be most populated), it would have to increase its population fourfold (1.2 billion+). Even then, this would still only make it the 89th most densely populated country on earth (assuming of course no population changes in any other country). However, all this can be rather difficult to visualize. Wouldn’t it be easier to just see how the current US population fits into the rest of the world? Well the clever users of reddit have done just that. They’ve created all the maps on this page that help show how large (or not) America’s population really is. 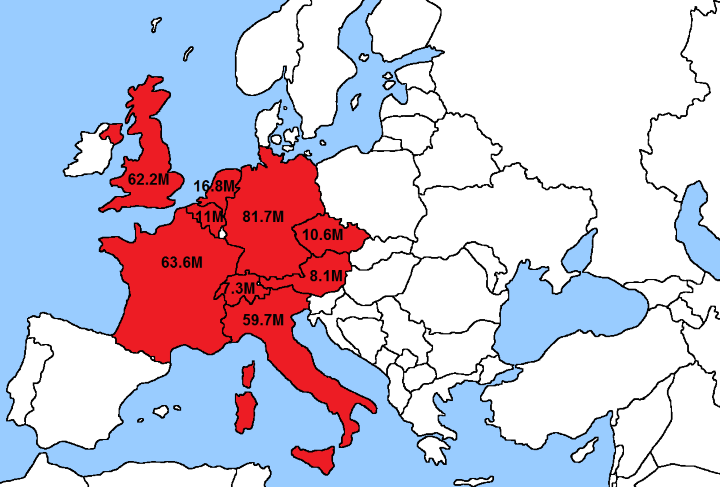 If the 28 members of the European Union were considered a single country, it would be the third most populous country on earth (knocking the US down to 4th), with a little over 500 million people, living in area that is less than half the size of the entire United States. 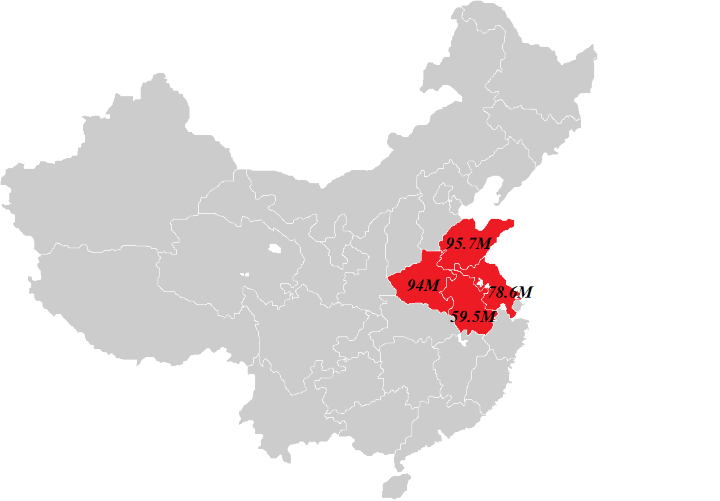 In total, these countries only take up roughly 1.7 million km2 compared to the United States 9.5 million km2. However, the total size of the 9 European economies GDPs only adds up to around $12.7 trillion (IMF, PPP $) compared to the United States $16.8 trillion. However, in terms of economic output, the 4 provinces combined have a GDP of $2.7 trillion, around 1/6th of the US total. However, the map above can also be a bit deceiving. 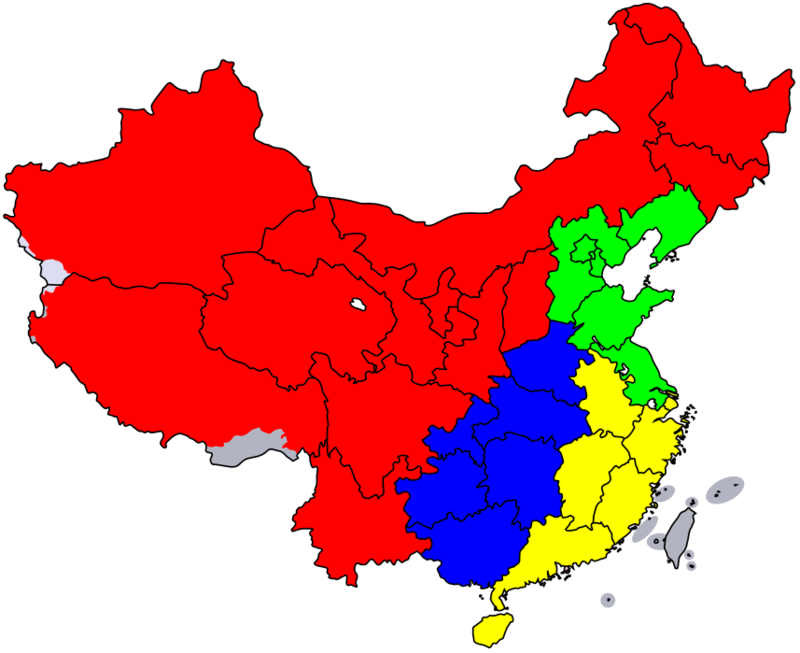 Similar to the United States, China’s population tends to gravitate to the coast. 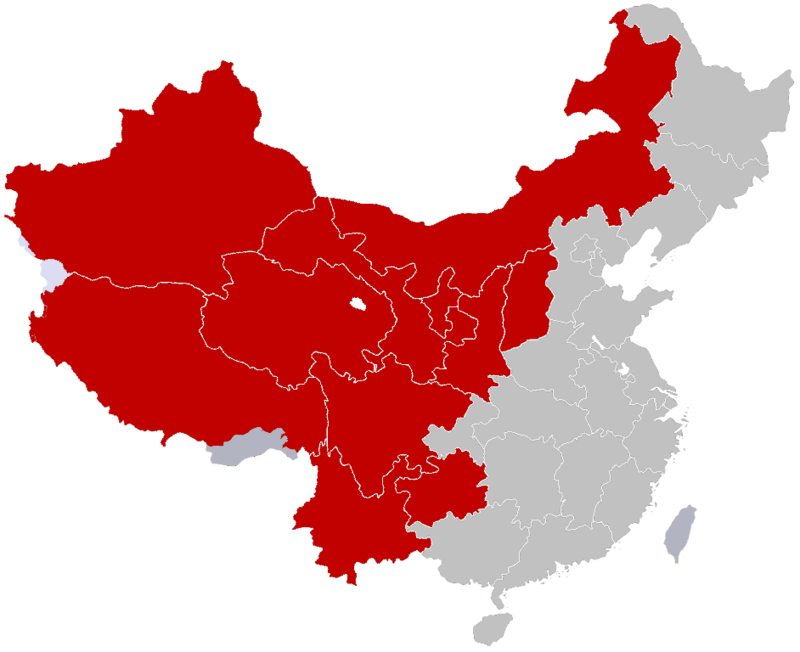 Unlike the United States, China has only 1 coast, in a country with 4 times more people. The map above shows another way you can you can fit the population of the United States into China, but this time using the relatively sparsely populated Western provinces rather than the dense Eastern and Southern ones. 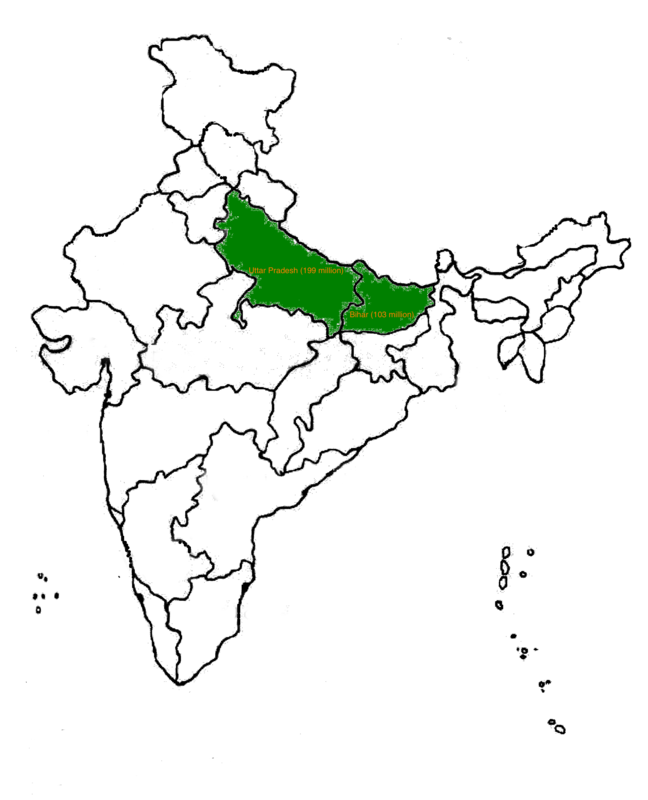 The map above shows how you could almost fit the population of the US into the just two Indian states: Uttar Pradesh (199 million people) and Bihar (103 million people). In total these two states are just 335,091 km2 (smaller than Montana) and have a GDP of around $170 billion USD (about the same as Kentucky). 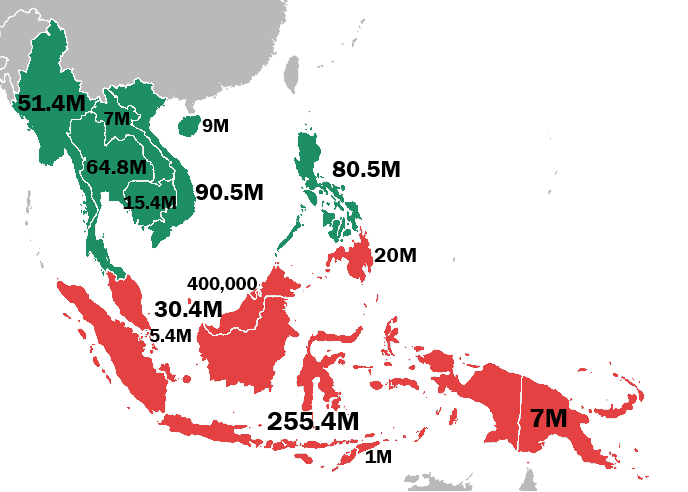 In slightly different twist, here are two different ways you could fit the population of the United States into Southeast Asia. 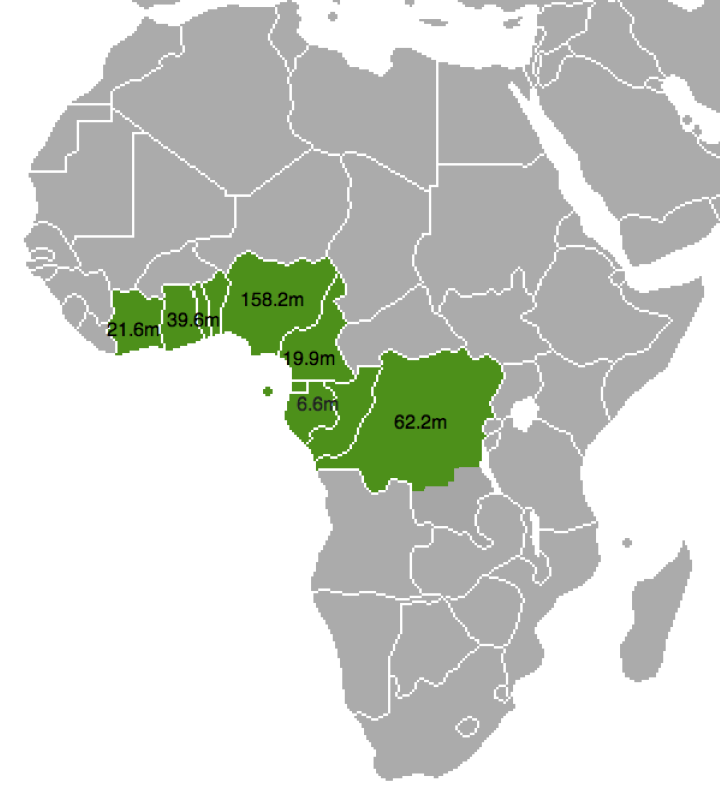 Here’s how the US could fit into Africa. Note that if you excluded Nigeria (158 million people), you’d have to use a much larger area. 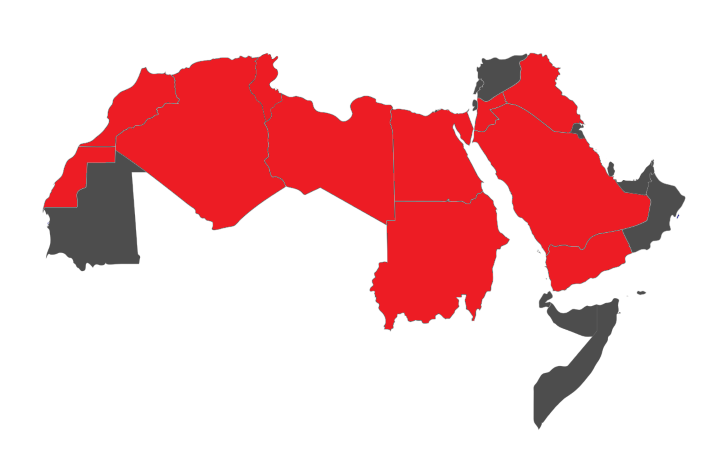 Finally, the US population could also fit into the Arab countries above. Interestingly the Arab League (which includes all the countries above, not just those in Red) is 13 million km2, about 40% larger than the US, has about 357 million people, yet only has a combined GDP of around $3.3 trillion, about 1/5th of the US total. Anything you found particularly surprising? Tell us in the comments below. Does the U.S. land mass configuration include Alaska and Hawaii?